Having a round face is a mixed blessing. On the one hand it makes you look very young but on the other hand it can give you a babyish appearance that makes others take you less seriously. You’ll need to find the best hairstyle that will bring out the greatest features and help to deflect attention away from the roundness of your face. 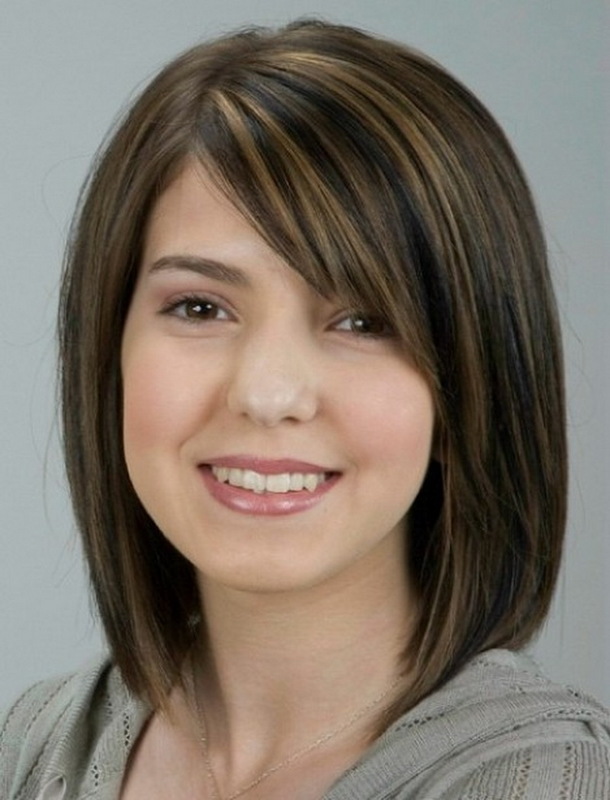 You’ll need to find the best haircut salons because selecting a hairstyle is a highly specializes and difficult task. At the very outset, you and your hairstylist will have to decide whether your hair needs to be kept long or short. Medium length hair, preferably with gentle waves, tends to suit people with round faces because it seems to lengthen the face and frame it beautifully. You should try out hairstyles that reach a few inches below your chin or even get to shoulder length. Never go for short layers on your hairstyle because the volume they add to your hair will make your face look rounder than it actually is. You might have to put in some effort to maintain your waves, but the result is always worth it. If your hair is straight then you should certainly wear it long because it will draw the attention in a vertical movement and make your face look less round. It will fall like a curtain down the sides of your face, visually cutting the sides away and thereby making the face look slimmer. You could also wear it as a high ponytail just for a different look. It is even possible to wear high fashion ponytails for special occasions. You can also collect tips from your hairstylist to help you maintain it.